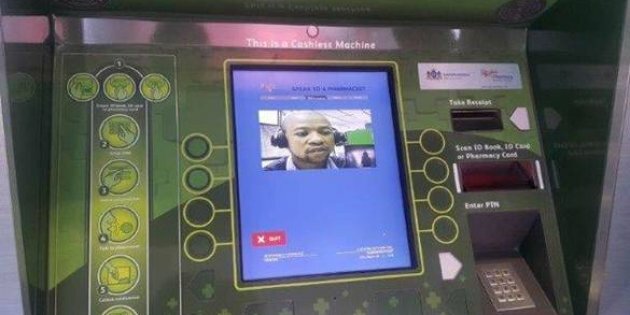 First ATM pharmacy has been launched in Johannesburg, South Africa in a bid to shun hours of waiting in the country’s clinics following complaints from people. 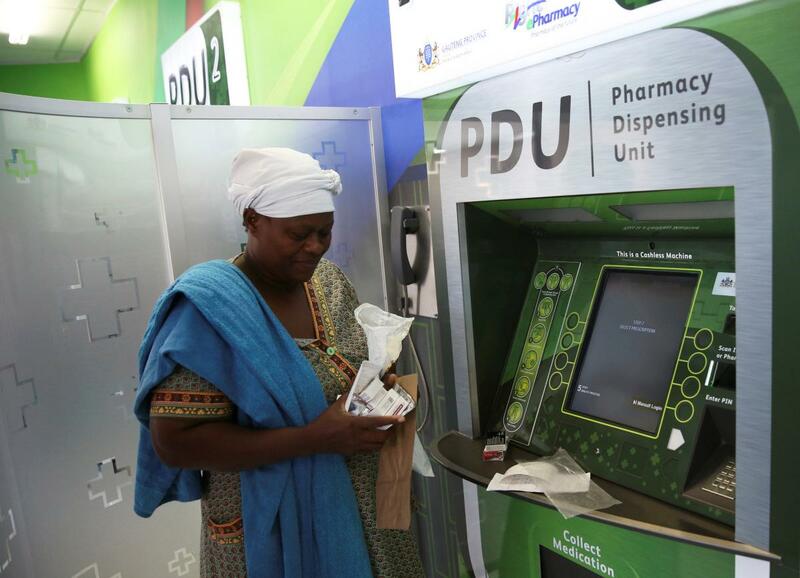 Patient withdraws her medication at an ATM pharmacy which allows patients with chronic illnesses to receive repeat medication within three minutes, in Alexander township, South Africa, March 15, 2018. Dr. Gwen Ramokgopa, Deputy Health Minister of South Africa said she is looking forward to the positive results the new technology will bring. 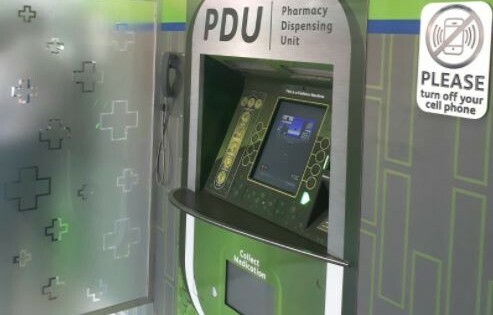 The Pharmacy Dispensing Unit (PDU) is the first of its kind in Africa and the technology was developed with a team from Germany. The PDU works like an ATM with skype-like audio visual interaction between patients and pharmacists. A patient simply has to slot their ID and patient card into the machine, enter their four-digit pin and their prescription will automatically appear on the screen. As soon as the patient is done confirming all their details with the pharmacist, their prescription comes out from the machine the way money would from an ATM.